Olive is a responsive blogger template, which is fully responsive and designed for magazine blogging websites. 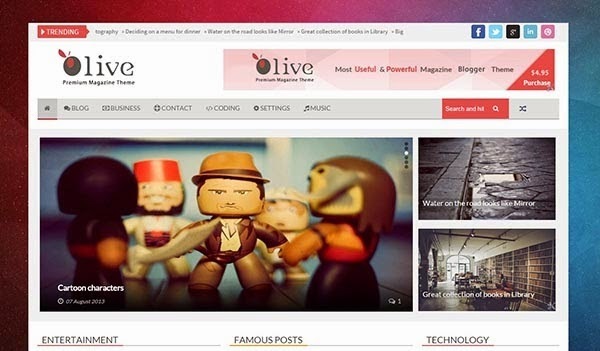 Olive is a blog based templates for blogger that mainly focuses on SEO of the website. Olive free blogger template have a magazine design and it has very user-friendly blogger layout from which the users can adjust their own settings and can manage widgets.